Birth, marriage, divorce and moving house – the often-cited most stressful moments in anyone’s life. Well, there is a fifth – being involved in a merger or acquisition! HR and L&D play a vital role in any M&A planning process and if involved correctly can have an incredibly positive impact on a merger or acquisition and the future success of the organisation. When two organisations come together, there are significant technical considerations as well as the human challenges. Many of these have been documented at length, for example, this article from the Harvard Business Review. Consultants and leaders know that planning is essential to avoid an expensive flop. But taking a step back, what are the soft challenges of a merger? What are those icebergs lying just beneath the surface? Looking at a merger from the perspective of your more junior employees will help you understand the real story and increase the chances of merging successfully. There are seven key areas to look at. But taking a step back, what are the soft challenges of a merger? When the merger is announced, everyone who has not been in-the-know immediately, without fail, asks themselves, “Is my job safe?” Employees from both sides of the merger start to view their counterparts in the other organisation as rivals: not only for a job but the attention of their managers and influencers. But they also begin to mistrust people they have worked with for years as well. Suspicions spread as some people appear to have insider information (even when they don’t), others appear to be trying too hard to make an impression. Colleagues who have got on well before will start to question each other’s motives, and trust breaks down. Others become more secretive, concealing discussions and holding on to information. Trust is eroded very quickly. This is often easy to overlook. More senior managers have their heads down in organising the integration and may become detached from their teams and not notice the breakdown in relationships. Left unchecked this becomes a self-fulfilling prophecy. The team begins to underperform, and headcount comes under scrutiny. They begin to doubt that the two organisations can merge successfully. Managers need to be onsite and visible. They need to be aware enough to intercept any trust issues before they develop and be able to squash destructive rumours before they gather momentum. Many mergers take place because one company needs the expertise of another. These mergers happen with the promise that nothing will change. Everyone’s job will remain the same, with only minor adjustments. This is largely wishful thinking. Whether adding to a job description or taking something out; whether tweaking a process, or a focus, or a reporting line; a few very small, seemingly insignificant changes end up shattering an employee’s sense of security. Job titles become very sensitive topics. While it can be very useful to disrupt the feeling of comfort, too much uncertainty risks valuable talent starting to look elsewhere. Being transparent about what will change and what won’t change is important. Employees won’t necessarily enjoy the change, but they can accept it if they know why and how. Often the “why” needs careful explanation. Every group of people at any level has its own culture. This is different from the published corporate culture that is part of the mission, but the underlying, unwritten guidelines to what is acceptable, what is normal, what is negotiable (and of course, what isn’t!). How noisy is the office? Does an open-door policy mean that you can interrupt the CEO at any time at all? These are the sort of issues you cannot write a policy for – there cannot be a policy for everything – but if you’re the person who has the first birthday after a merger and you don’t get a gift that everyone in the past has got, there will be a problem. If one office is quiet and conversations are kept at low volume, a suddenly noisy invasion by “them from our new owners” will cause real hurt and offence. Culture is a challenge because your own culture is largely invisible to you. It is your default position and doesn’t ever need to be discussed – it is part of your professional identity. When you are confronted with another culture, that culture is, by default, wrong, not normal and potentially threatening. 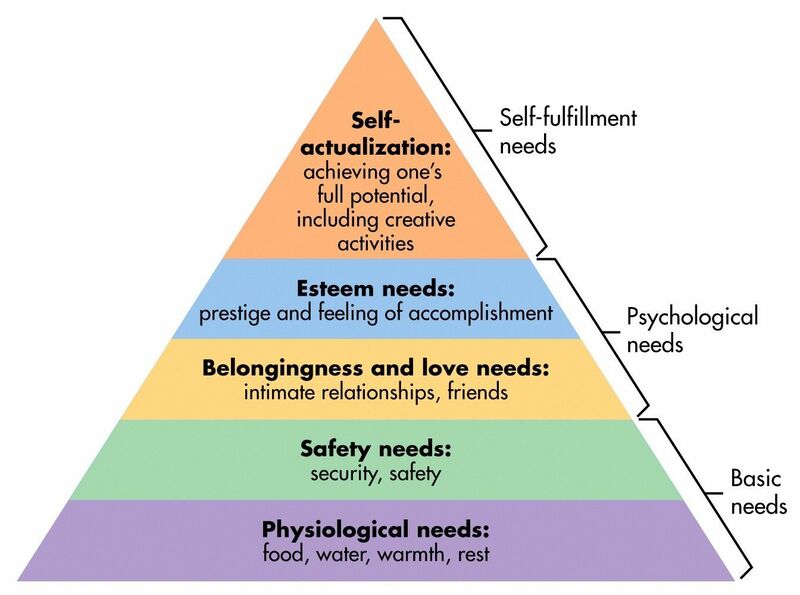 In Maslow’s hierarchy of needs, our needs for safety and belonging are among the most instinctive – when our cultural foundations are challenged; those needs feel less obtainable. Social interaction is the best way to address this. We learn about each other and each other’s needs through interaction. Whether this is virtual meetings or social interactions after work getting to know each other is essential to break down cultural barriers. We may even become aware of things about our own culture that we did not realise. The longer you work in an organisation, the more your own personal processes seem to be the best – it becomes hard to understand why anyone would work any differently. There are also accepted processes and systems that are the result of compromise, blood, sweat and tears, but everyone finally is comfortable working with them. And then a merger happens, and all the processes are questioned; “others” come in and passionately explain why their system is better. Arguments and resentment can find fertile ground in a simple discussion about file-naming conventions. This is a similar challenge to that of a cultural clash, but in many ways, it is much more personal. Even entrepreneurial personalities prefer to change on their terms. The key is to create a third way – set up work groups from both sides to create better ways of doing things. By involving them in the creation of the processes, teams engage in the process, rather than retreat into sullen resistance. Change is stressful, and time off seems a good idea. However, during the transition period, time off can be even more stressful. Not only are employees worried about their jobs, but they are also even more worried about missing out on important discussions, or not being involved in key decisions. The temptation to read and respond to emails and phone calls can become irresistible. Families inherit the stress making the time off even less relaxing. And when you return to work, your new colleagues may not even have noticed you were gone. Stress is fuelled by uncertainty and fear of the unknown – it can lead to irrational thinking and an inability to rationalise information. This, in turn, creates more uncertainty and more stress. It seems counter-intuitive, but for many people, there is less stress in working through the transition than in taking time off. Encouraging all employees to find ways to manage their stress levels is an essential part of a transition to a successful merger. Whether through formal relaxation sessions, or informal suggestions, releasing stress will prove invaluable. Try to avoid making important decisions while team members are away, and if it is inevitable, make sure to schedule a one-to-one as soon possible when they return to work. Everyone’s inbox is overflowing with emails that are unread, or only partially read. In a merger, this can be even worse as there is a new influx of colleagues and managers eager to make their mark. However, mergers breed rumours, and rumours breed distrust and confusion and resentment. Employees will assume that someone else knows more than them and that they are the ones being left out. During a merger, employees crave information; they want to know not just what’s happening to them but others as well. If management doesn’t provide genuine information, there is always the “grape vine” to supply half-truths and myth! Rather than using emails, internal social networks such as Yammer are ideal for sharing information. Everyone has access to the same documents and can comment and share ideas. Avoid “secret” meetings – obviously, some meetings are confidential, but sneaking about, so no one notices doesn’t work and creates more trouble. Sometimes everyone misses out on the key point of a merger: it happened so that a new stronger company comes out the other side. Shareholders, directors, managers and employees all want to merge successfully. The details and struggles of a merger often cloud this key message, and those employees most unsettled forget that the struggle is not there to annoy everyone, but to create something that far exceeds the potential of the two separate companies from before. How can we address the challenges? Managing an M&A process is the subject of PhD theses and large volumes. But if there is one thing that everyone agrees on, it is that an effective communication strategy is a foundation to merge successfully. There may well be losers in the merger – there are overlaps in roles that can only be resolved through redundancies – but having a communication plan aimed internally will engage the talent you want to keep and reduce the morale hit from rumours and speculation. Despite the ease of virtual and digital communication, the reality is that most of this will need to be done face to face. Management needs to be visible often and in person. New leaders and old leaders need to be in regular touch with their reports individually and in groups to pre-empt the erosion of trust. Rumour and speculation are the enemies of a successful transition, but good, transparent communication is the not-so-secret weapon. A merger is a difficult time, and too many mergers fail to achieve their potential. Communicating and identifying the soft challenges early will go a long way to easing the transition and help you merge successfully.